This application is for temporary, extra-help work ONLY. Do not apply if you are not willing to accept temporary, extra-help work. Departments may hire extra-help employees in specific classifications for a limited period. Extra-help is temporary employment generally not to exceed six (6) months unless seasonal, intermittent, or on-call. Extra-help employment may last up to one (1) year when hired to work on a specific project. Extra-help employees are paid only for the hours worked and are not entitled to benefits, property rights (seniority), or promotional preference. As an extra-help employee, there is no guarantee of regularly scheduled hours or continued employment. Interested applicants and current extra-help employees interested in permanent positions with the County must apply for those positions during open recruitment. Mendocino County is located north of the San Francisco Bay Area and includes some of the world's most stunning coastline and redwood forests. Amidst the exquisiteness of the rural geography is a flourishing wine industry. All of the physical beauty of the county combines to create a unique setting in which some are lucky enough to be able to work and live. Hiking, fishing, and whale watching are just a few of the outdoor activities found in the area. Created in 1850, the county's population is currently over 90,000. Ukiah, the county seat, is situated along Highway 101 and located approximately 100 miles north of San Francisco. It is nestled in the Yokayo Valley in the southern end of the county. Ukiah serves as a regional hub for services and commerce. Affordable housing is available within the county. In addition, the area boasts good schools, a variety of cultural events, fine restaurants, shopping, and tasting of some of the finest wines and craft beverages in the world. 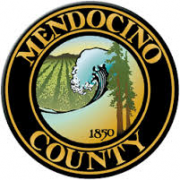 The County of Mendocino employs approximately 1,200 employees and operates on an annual budget of roughly $235 million. Service locations are distributed throughout the area to place them as close as possible to the widely dispersed communities of the county.